Those miraculous stem cells have been a big buzz word in plastic surgery lately, but most of the chatter is just marketing and not reality. A report in the August 2014 issue of Plastic and Reconstructive Surgery warns against a wave of advertisements claiming benefits for the use of stem cells in face lifts, breast augmentation, and even vaginal rejuvenation surgery. 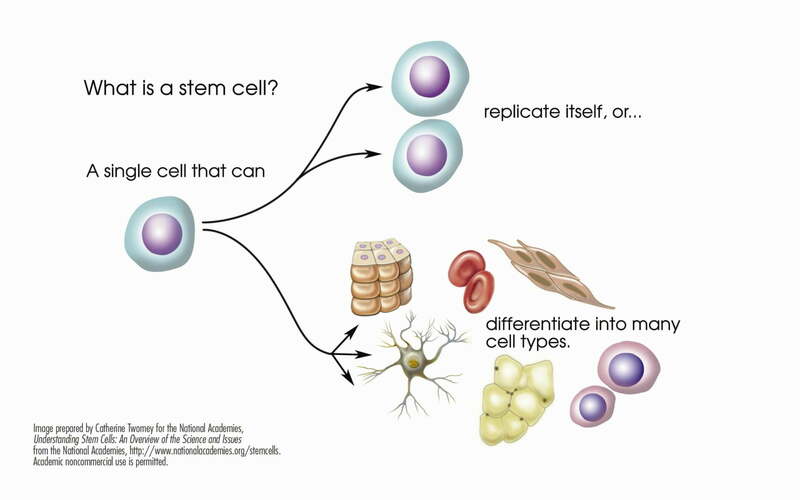 But most of these “stem cell” procedures are simply fat transfer or fat grafting and are often misleading consumers into thinking stem cells are part of the treatment. Another new procedure often mistaken for stem cells but made way too popular by an appearance on Keeping up with the Kardashians is the “Vampire Facelift,” in which plasma-rich platelets (PRP) are used for facial rejuvenation, but PRP is not stem cells. The only way to truly isolate stem cells for the purposes of treatment is to use an advanced cell-sorting procedure, and only one stem-cell cosmetic procedure has received FDA approval to date. It is called laViv (or LAVIV) and is a method of converting one’s own skin cells into an injectable that can fill smile lines on the face, sort of the same effect as a Juvederm treatment.